Bring your sailboat and power boat! 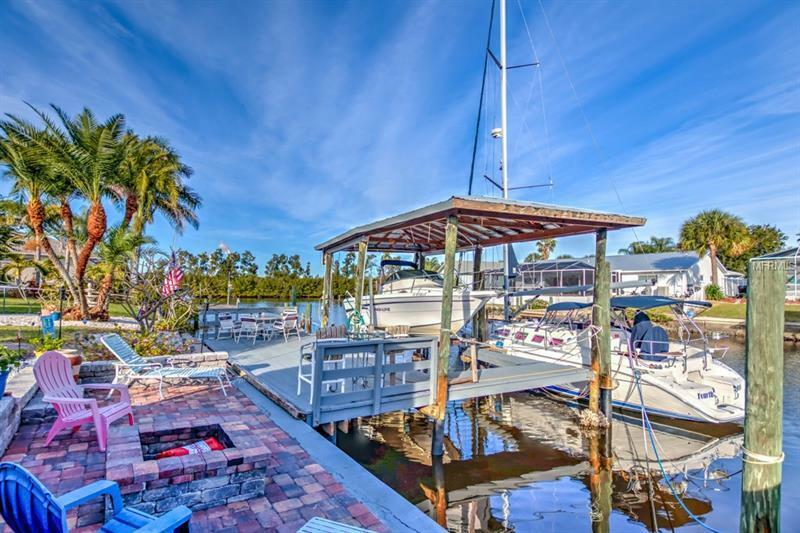 There is plenty of room for both at this lovely 3 bedroom 2 bath waterfront home in Apollo Beach. As you open the front door you will be impressed with the open floor plan and the updated kitchen with beautiful granite counter tops and lots of cabinet space which overlooks the living and family room. Sit back in the hot tub and relax in the screen enclosed patio with magnificent water views or follow the recently brick paved pathway to the dock and fire pit ready for roasting marshmallows and staying warm while enjoying an evening cookout with family or friends. Some of the many features include: tile floors crown molding split floor plan for privacy newer A/C compressor outside painted spring 2018 roof replaced 2017 a storage shed out back well for irrigation and the list goes onâ¦ The boat house includes a 10000 lb. lift and its own boat wash. The home is located on a cul-de-sac in an established neighborhood that has NO CDD or HOA fees and offers direct access to Tampa Bay and the gulf waters beyond. Convenience is a plus when youâre located within a short walking distance to the school restaurants parks and more. Hwy. 41 I-75 and I-4 are within easy access for driving to Tampa St. Petersburg Bradenton/Sarasota or Orlando. Call today to see this outstanding home and make it yours!